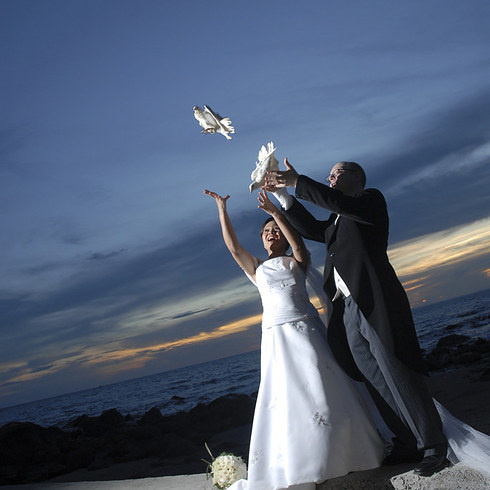 Releasing doves in the Philippines: At traditional Filipino wedding receptions, the bride and groom release two doves into the air to represent a long, peaceful, and harmonious life together. 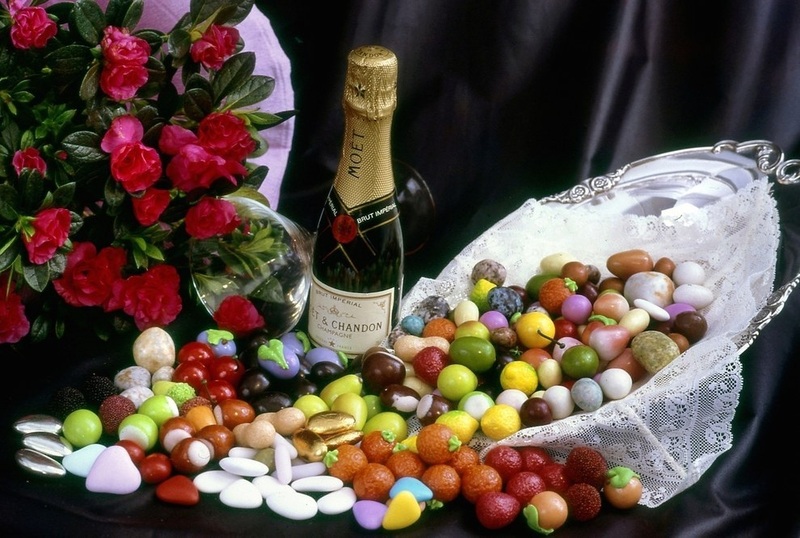 Confetti, Italy: In Italian, “confetti” doesn’t mean scraps of paper to be thrown, but rather sugary treats, particularly sugared almonds, that wedding guests receive as favors at the reception. 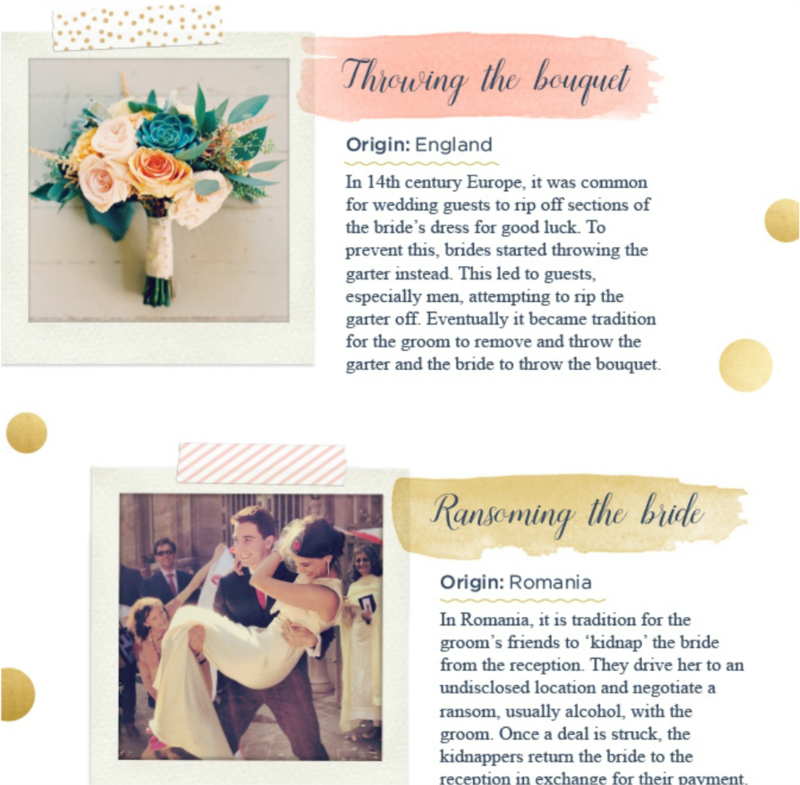 Confetti used to be thrown at the bride and groom, but have been replaced by coriandoli, the tiny scraps of paper. 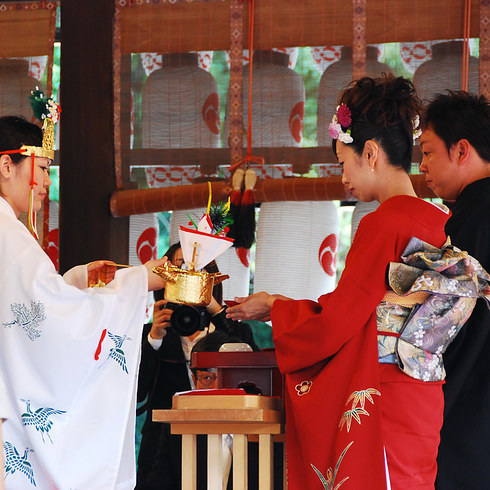 Sake-sharing ceremony, Japan: In the beloved Japanese tradition of san-san-kudo, the bride and groom take three sips each from three flat sake cups, after which their parents do the same, bonding the families together. 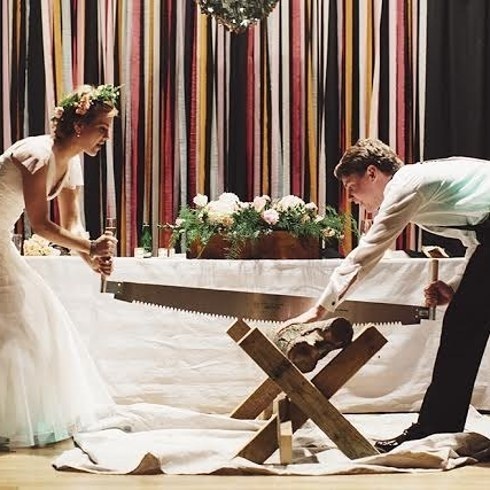 Log cutting, Germany: In Germany, newlyweds must instantly put their bond to the test by working together to saw a log in half in front of all their guests. 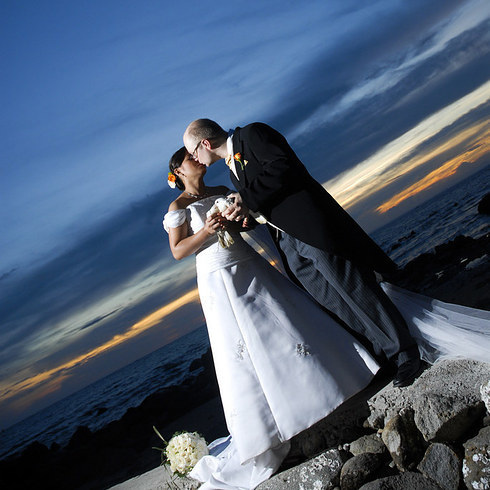 The act is intended to showcase the bride and groom’s ability to work together and face the obstacles that may come throughout their marriage. 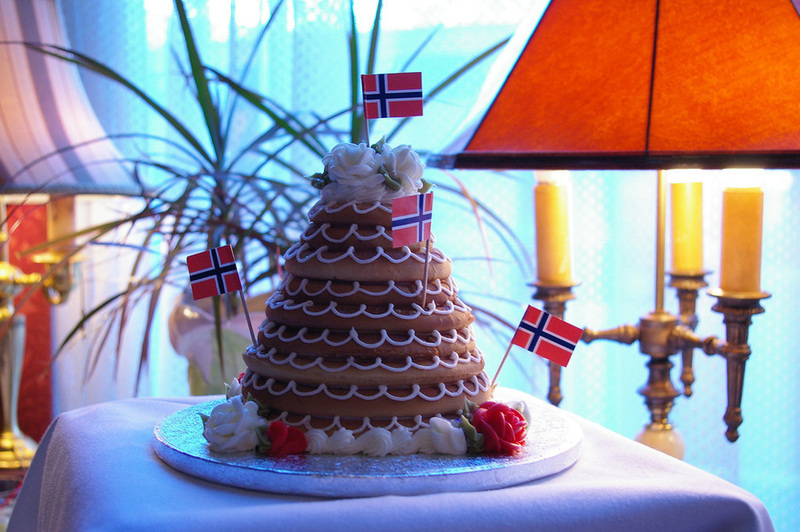 Kransekake, Norway: Norway has its own particular version of the towering layered Western wedding cake, in the form of a kransekake, a tower of iced almond cake rings. It’s common to build the tower over a wine bottle so a nice treat appears as guests break off pieces of the dessert. 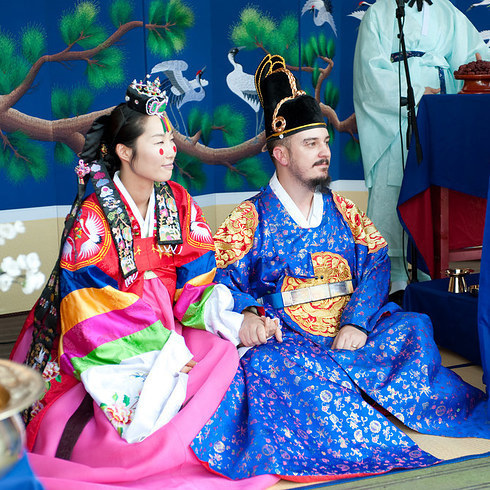 A goose for the bride, Korea: According to Korean tradition, grooms give their new mother-in-laws wild geese or ducks. 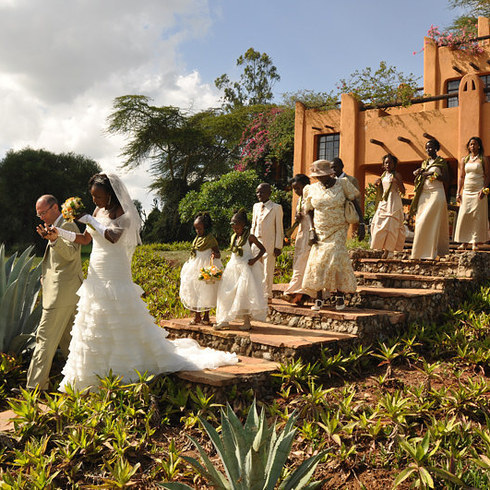 The monogamous animals represent the groom’s pure intentions and loyalty to his bride. 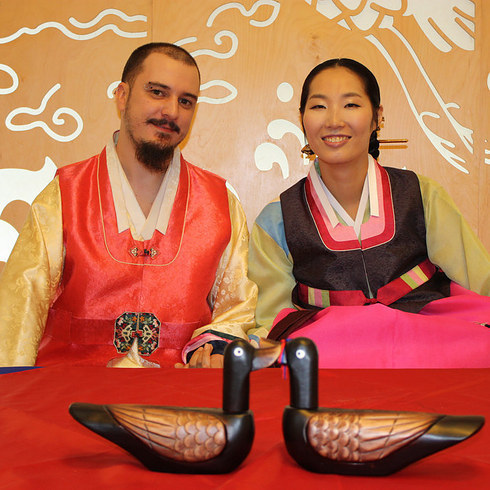 In a more modern reincarnation, brides and grooms exchange wooden geese and ducks on their wedding day as a sign of their commitment. Ring of flowers, Pakistan: In Pakistan, it’s tradition for the groom to wear a ring of flowers around his neck. Here, the bride participates as well. Croquembouche, France: French weddings often serve a croquembouche, a truly delightfully tower of cream-filled pastry puffed that can be dipped in any number of sweet sauces, as the wedding cake. 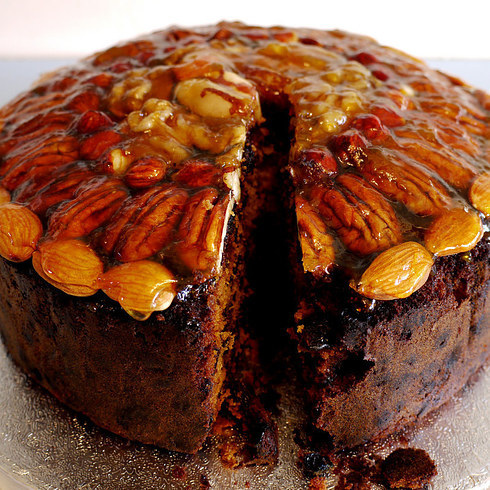 A croquembouche can be decorated with fruit, nuts, and glazes, and makes a fantastic centrepiece. 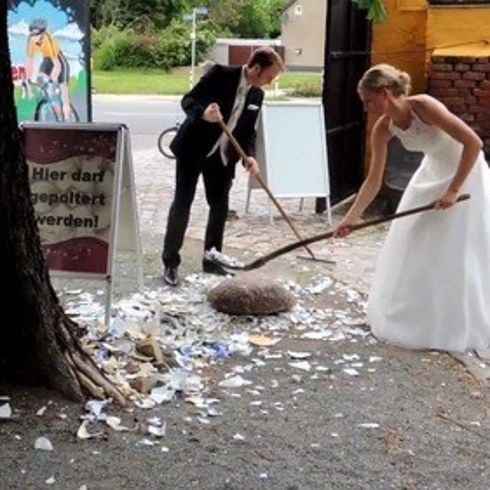 For the wedding reception, there’s a less charming tradition: La Soupe, in which leftovers are gathered into a toilet (or toilet-like bowl) from which the bride and groom must eat for good luck. Stealing the groom´s shoes, India: In a traditional Indian wedding, the bride’s sisters play a trick on the groom by stealing his shoes once he enters the wedding tent. 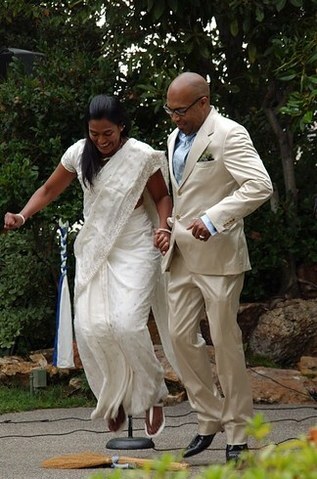 The groom must bribe the sisters to return his shoes before he exits. 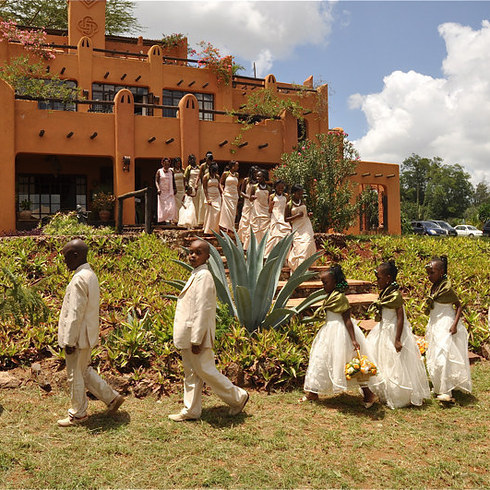 Spitting on the bride, Kenya: In Kenya, as the freshly married bride and groom leave the village, the father of the bride spits on his daughter’s head and chest so as not to jinx their good fortune. Money dance, Poland: A Polish tradition invites guests to buy dances with the bride at the reception. 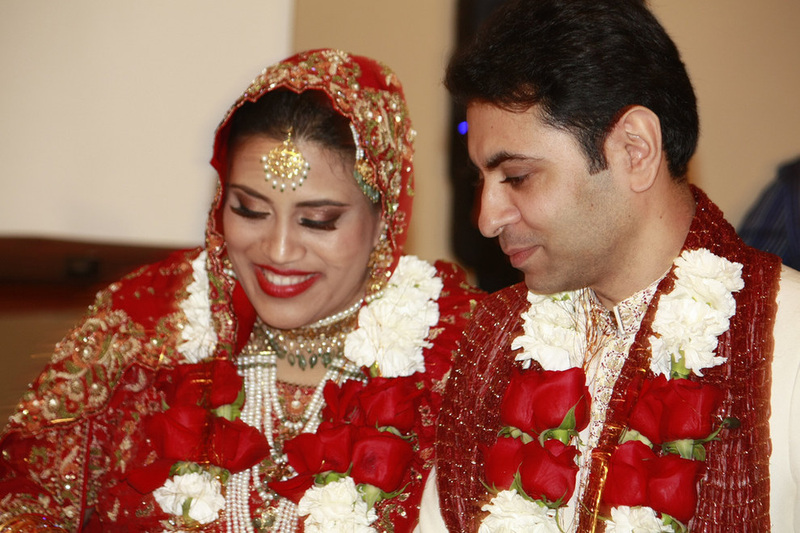 Her maid of honor collects the charges and the donations go toward the couple’s honeymoon. Breaking a white bell, Guatemala: At a Guatemalan wedding reception, the mother of the groom breaks a white bell to welcome the newlyweds to the party. 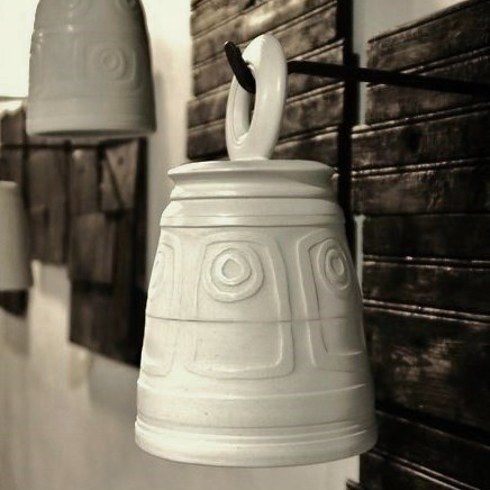 The bell, filled with flour, rice, and grains, is meant to bring luck and prosperity. 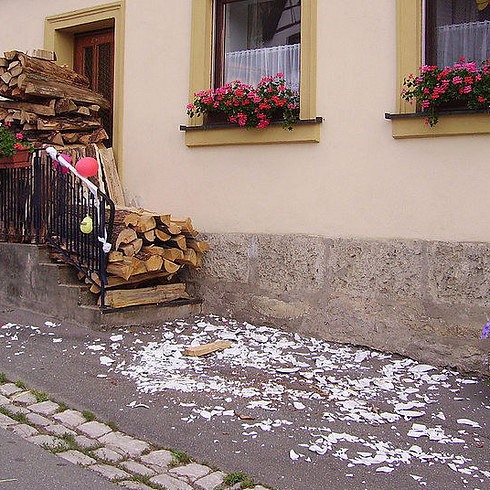 Polterabend, Germany: German hen parties and stag nights grew out of the tradition of Polterabend, in which family and friends smash dishware outside the homes of the upcoming bride and groom on the night before their wedding. 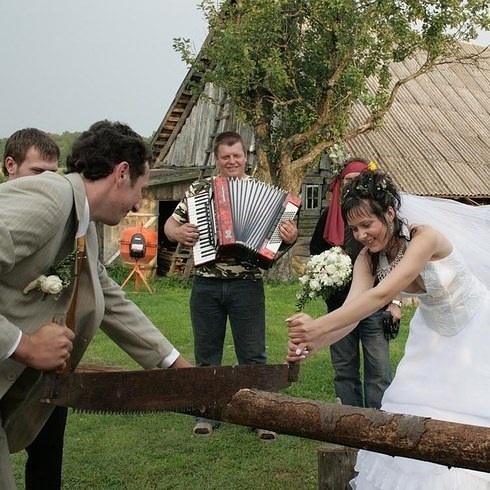 Ransoming the bride, Romania: In Romania, a mock abduction game is common before wedding ceremonies take place. 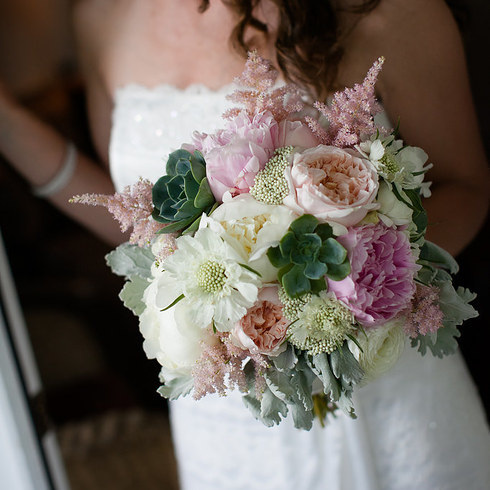 The bride is kidnapped by friends, family, or hired entertainers, and the groom must come to her rescue and pay her ransom through drinks, money, or romantic gestures. 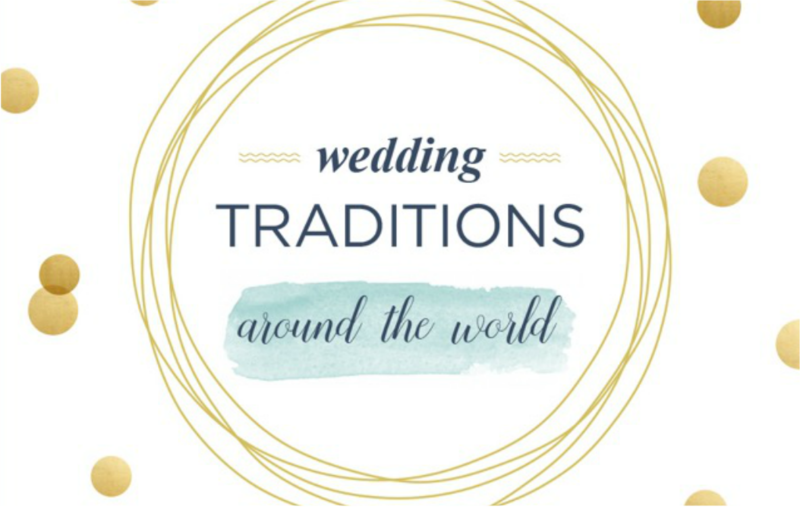 Bride-napping turns out to be a common trope across European countries, with versions in Russia, Germany, and Wales. In the latter, a Welsh best man takes the bride to the pub before the wedding, and the groom-to-be must find them and pick up the tab. 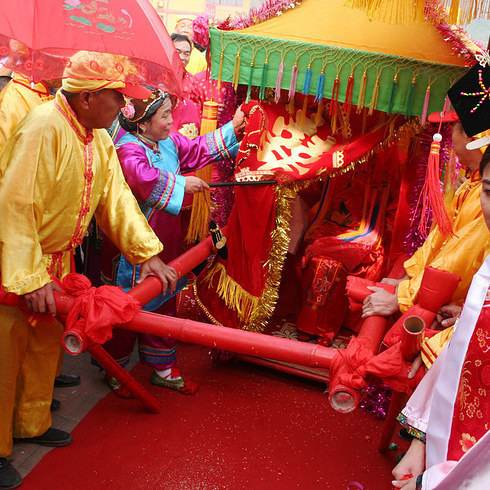 Bridal sedans and red umbrellas, China: A traditional Chinese wedding features a full procession, with the bride escorted to the ceremony in a bridal sedan. 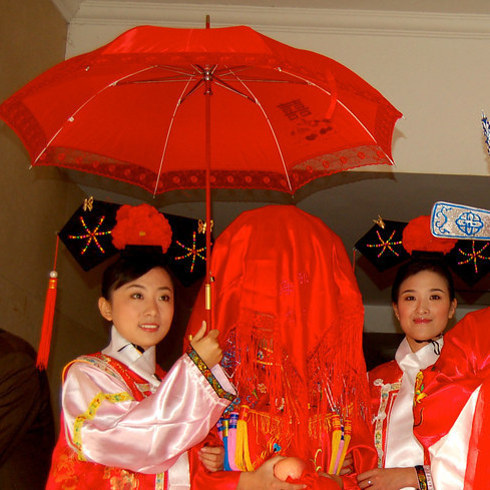 Red is a powerful color in Chinese weddings, symbolizing boldness, luck, and love. 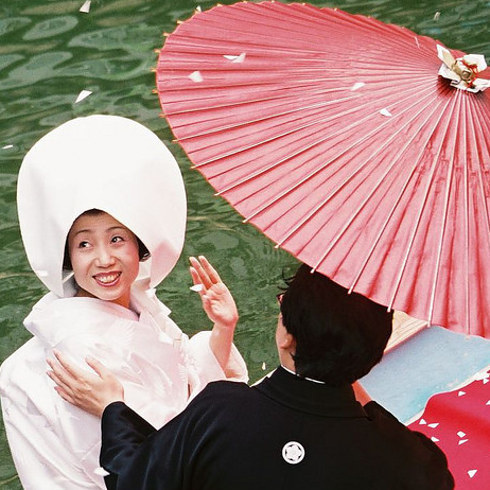 According to tradition, the bride wears a red veil to hide her face, and her mother or attendant holds a red umbrella over the bride’s head to encourage fertility and grow her own family. 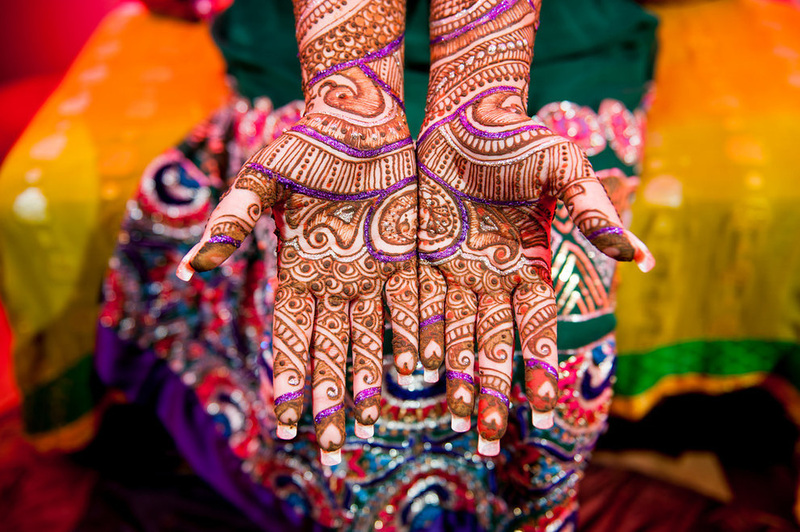 Henna, India: As part of the elaborate and visually stunning traditional Indian wedding, brides and other female attendees are often dyed with intricate henna designs to represent the joy, hope, and love of the occasion. 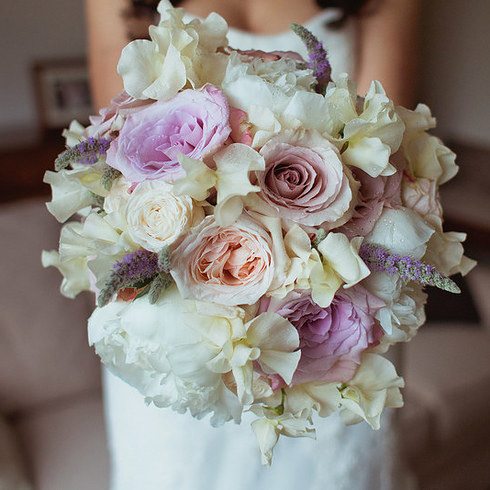 Two bouquets, Mexico: In Mexico, it’s common for a bride to carry a bouquet for herself, and a second as a tribute to the Virgin Mary. 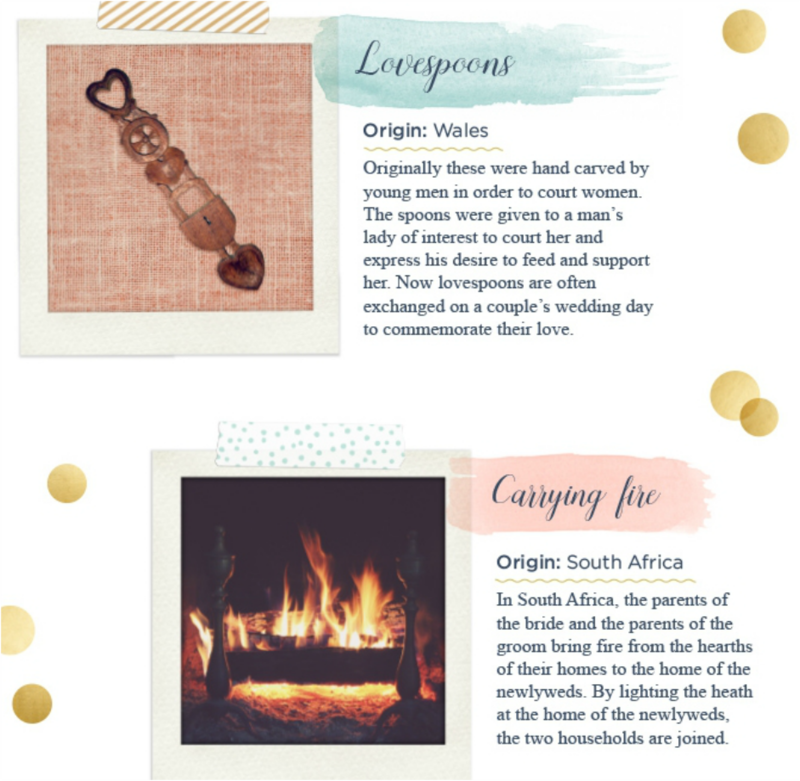 Carrying fire, South Africa: In South African tradition, the parents of the bride and groom bring fire from their own fireplaces to the home of the newlyweds. The bride and groom use the flames provided from their childhood homes to ignite the hearth in their new home together. 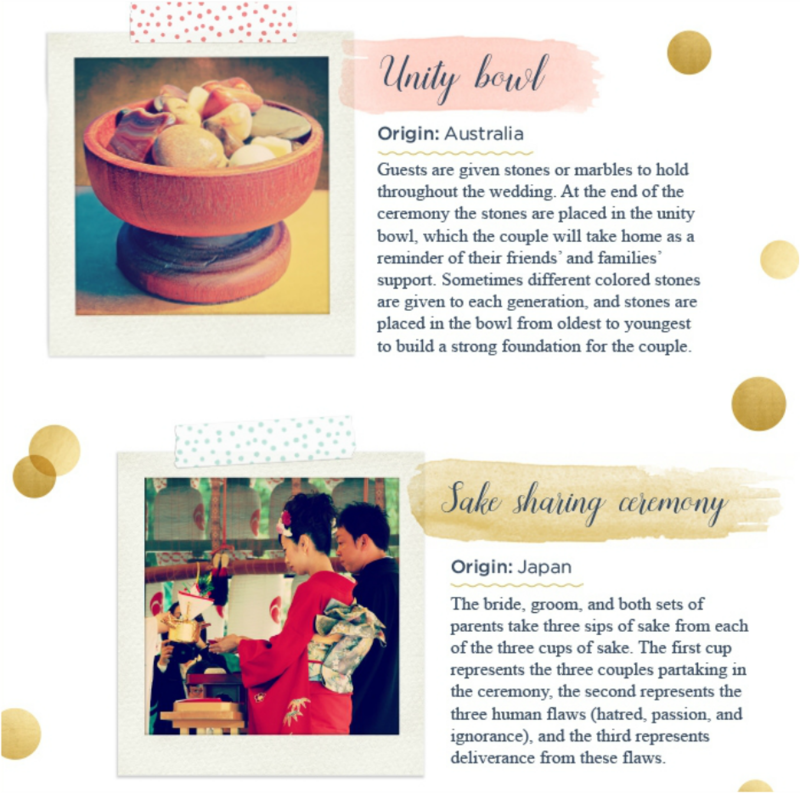 Unity bowl, Australia: An Australian wedding ceremony might feature the tradition of a unity bowl. Guests are given stones and asked to hold them during the ceremony. 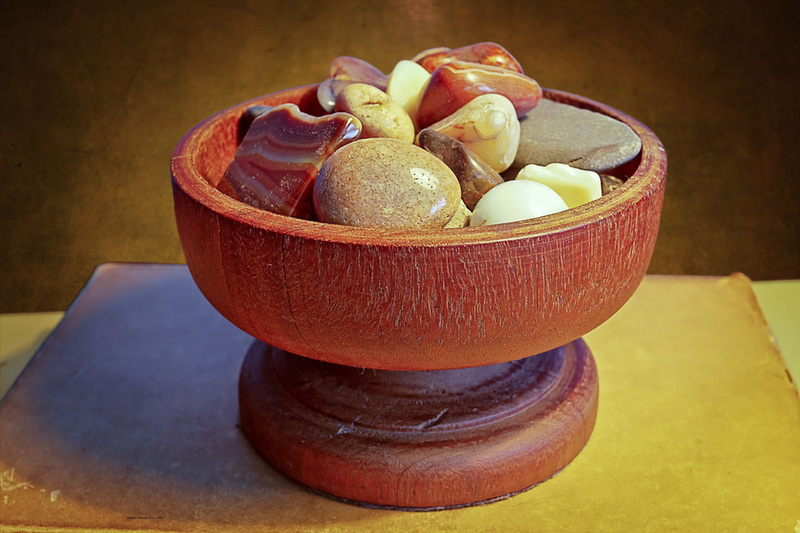 At the end, guests place the stones in a decorative bowl that the couple will keep and display afterwards to remind them of the support and presence of their friends and family. A grateful thank you goes out to Chelsey Pippin, BuzzFeed Staff, UK. 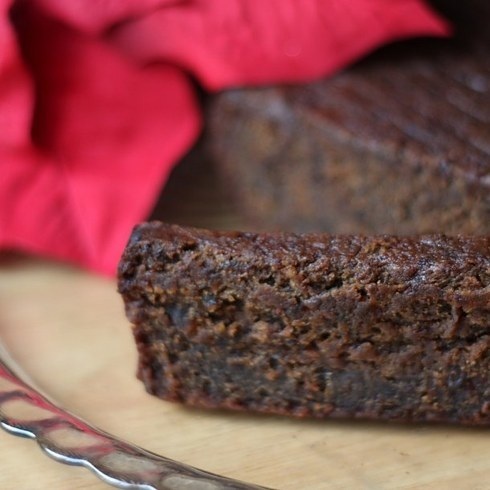 This website page is 100% credited to Chelsey Pippin.